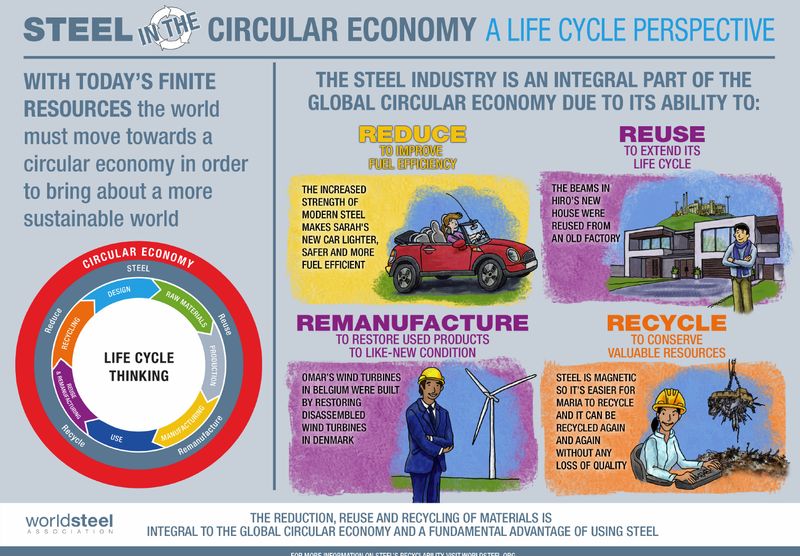 The World Steel Association (worldsteel) today announced the launch of a new publication ‘Steel in the circular economy – A life cycle perspective’. It examines the critical role of steel in delivering true sustainability to our society and calls for a global rethink of regulations in all market sectors across every region. This publication demonstrates how steel enables a sustainable society, through a circular economy, when the full life cycle of steel products is taken into account. It highlights the need for legislators and industry decision makers to take a full life cycle approach before making legislative or manufacturing material decisions. It contains case studies from around the world that show how this is being carried out on a practical basis. 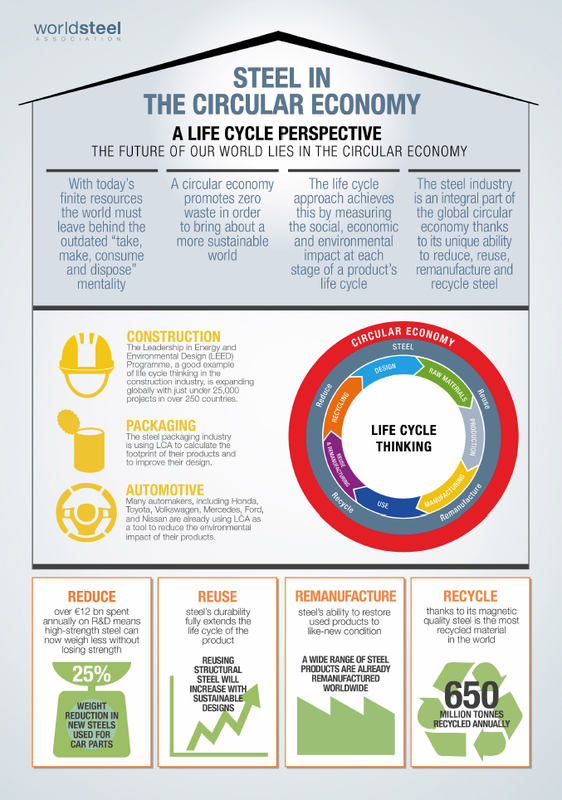 If you are interested in life cycle thinking case studies listed above, read more about the ‘Steel in the Circular Economy’ from worldsteel’s online bookshop. There are many more cases of a life cycle thinking approach in the publication!